Recently the Freud Museum catalogued both the archives of Anna Freud and the newly acquired archive of Sandor Ferenczi. With these new assets the museum is home to an even more comprehensive history of psychoanalysis. Additionally the recent digitisation the Freud’s large collection of antiquities offers the public unprecedented access to rare and unique objects. Against this backdrop Dr Benjamin Poore, a teaching fellow at Queen Mary’s School of English and Drama, set out to research and share the provenance of this extensive collection. 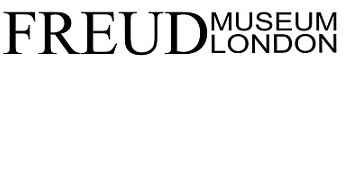 On the 21st October 2015 Dr Poore chaired a panel event at the Freud Museum entitled Freud and His Legacy. The event considered the implications of Freud’s thoughts on 20th century art, culture and psychotherapy, factoring in the political, cultural and clinical relevance of his writing. Members of the panel included Dr Benjamin Dawson, Lecturer in Literary Theory at Queen Mary University London, Alinah Azadeh, a multi-media artist, Professor Danny Nobus, of Brunel University London and Carol Seigel, Director of the Freud Museum. Since the residency Poore and the Freud Museum have been discussing applications for further funding with the Arts and Humanities Research Council, the Wellcome Trust, and Leverhulme Trust, in order to conduct research into the museum’s Sandor Ferenczi archive.